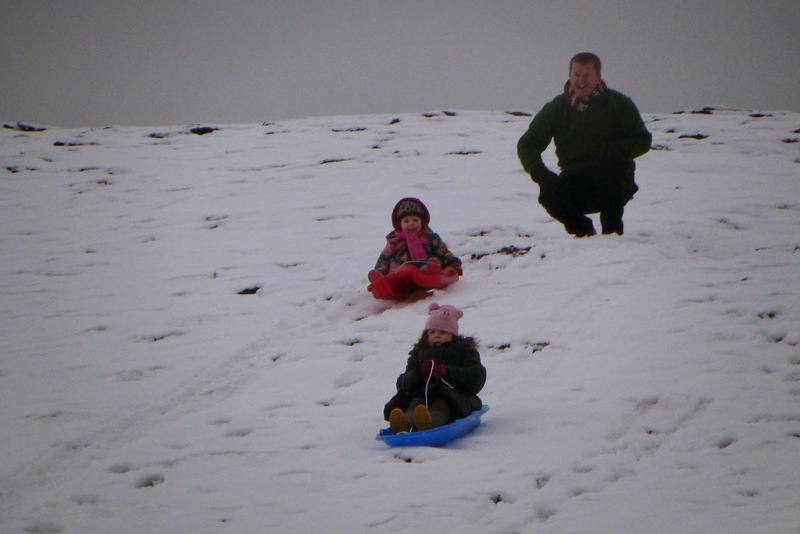 Fair Isle Bird Observatory: the Warden's diary: Do you want to build a snowman? If you've got small children, you've probably seen Frozen at least once and are likely to have some of the songs stuck in your head. 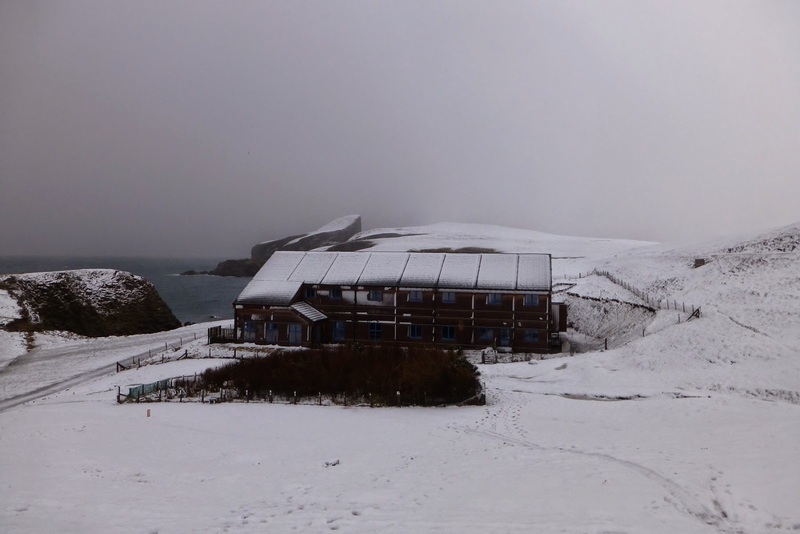 We certainly have today, after a rare day of lying snow on Fair Isle, a 'snow day' for the kids and some sledging out the back of the Obs. Having brought one sledge to Fair Isle (which has been, if anything, too many sledges since we arrived), we've since had another child - so we were very thankful to friends who had previously found a sledge washed up in Busta Geo, scrubbed off all the algae, seaweed etc and delivered it to the Obs this morning so we could have a sledge each for the girls! 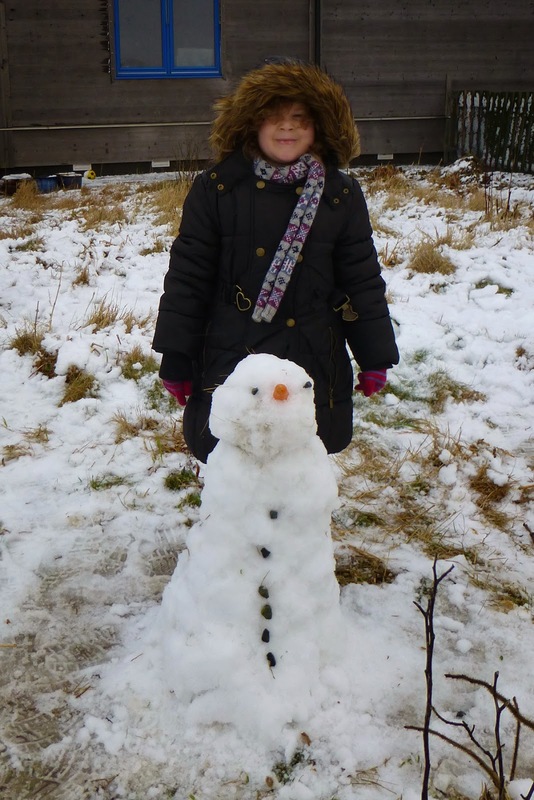 The first snowman we've built in the Obs garden I think (the last one we made was two years ago and was up at the airstrip). There are just over two weeks to apply for Job and Volunteer vacancies for the 2015 season, please help spread the word amongst your friends if you think they could be a part of the FIBO team this year. I also managed to briefly get my email inbox empty (for the first time in my history I believe) and work on the 2014 Annual Report is coming along nicely. If anyone has photographs that they think could be suitable for the report and would be happy for us to use them, then please get in touch. 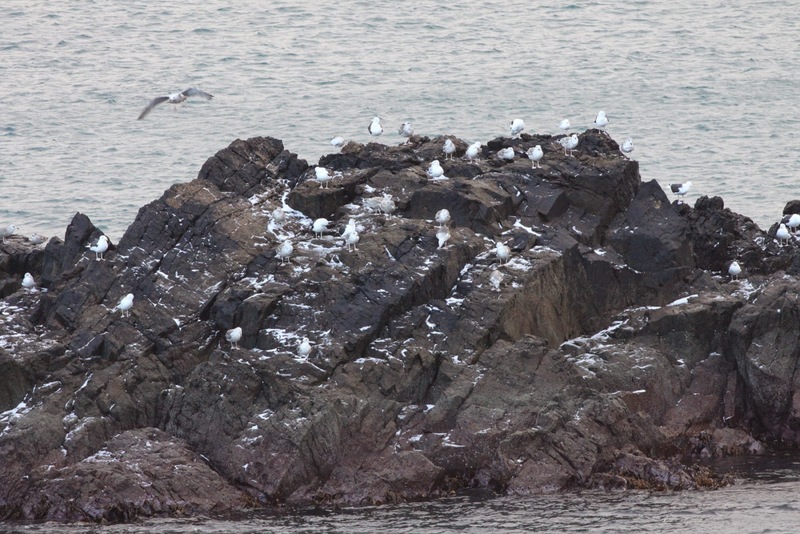 Juvenile Glaucous Gull (centre), on a snow-dusted rock in Mavers Geo on 1st February . Do you have better photos than this?! Bird sightings have been largely unremarkable since the last update: 4 Pink-footed Geese on 1st were the first of the year and seemingly arrived with a few more Greylags (152 were counted on 2nd), a couple of Iceland Gulls and a Glaucous Gull were seen and the Buzzard and Sparrowhawk reappeared, whilst a small arrival of thrushes at the end of January saw Fieldfare numbers rise to at least 57. Full details of recent sightings are updated regularly on the FIBO website . 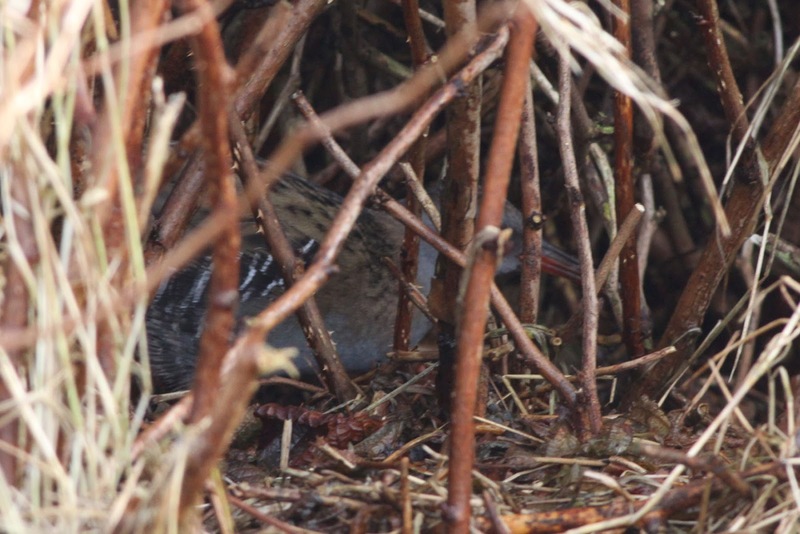 At least two Water Rails remain, although mostly elusively like this bird on Barkland on 30th January. A few Twite have returned to the garden in the last couple of days. 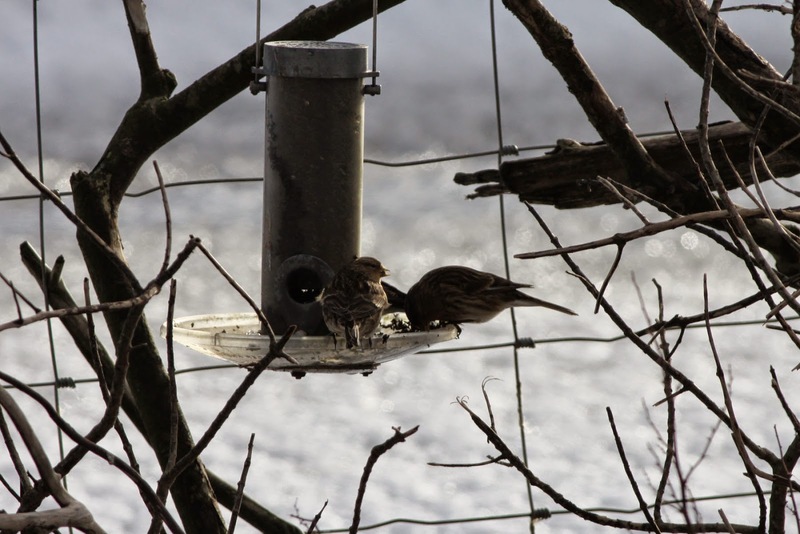 Another poor photo, but can anyone else produce a picture of Twite on a nyjer seed feeder in the snow?! It looks like the snow may hang on just long enough to scupper flights for the next day or two, but if there is any transport, I'll be away for the next week or so. Hopefully that won't be when the snow melts to reveal a Gyr Falcon or something similar lurking on the island!